One of the most irritating things about skin is acne and pimples. 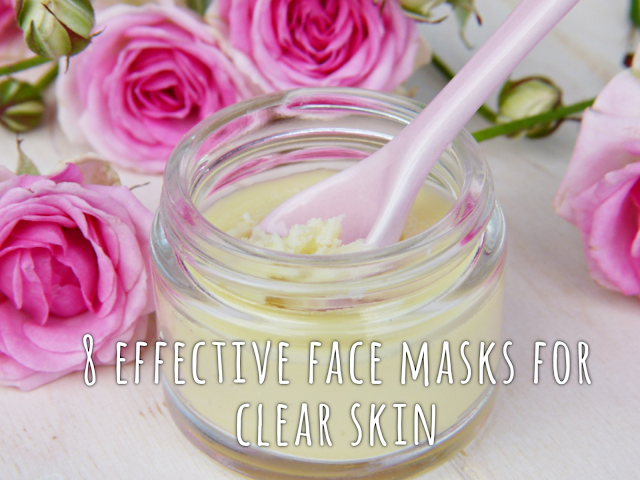 Face masks prevent not just the excess oil on skin but the right one also treats your pimples. Thus, today I present a list of 8 most effective face masks for pimple prone skin. Some of the products are really affordable and inexpensive while others can be a little pricey and high-end products. 1. Glamglow Clearing Treatment - Looks like mud, this face mask has a simple application, doesn't need to be diluted with water or anything. Just pick up some product with fingers or brush and apply directly on your face and neck. It dries off fast. 2. Skin Salad Overnight Mask - it is one that caters to pimple and acne prone skin. Easy to apply this mask is a treatment mask. 3. Innisfree Super Volcanic Pore Clay - most helpful in controlling excess oil on facial skin. This mask can also be used as an exfoliant and does remove blackheads. Moreover, after washing, this mask doesn't dry out the skin excessively. 4. Plum Green Tea Clear - this mask is relatively thicker in texture. Can be diluted with few drops of water before application. It takes time to dry but makes your face really fresh and clean. 5. Everyuth Naturals Cucumber - quite thick, this mask is great for oily skin as it soaks up excess sebum..
6. Forest Essential Ubtan Multani Mitti - it is a luxurious blend of neem, turmeric and fenugreek powder mixed into the traditional Indian multani mitti. This mask is in dry powder form so needs to be diluted in water, rose water, milk or yogurt. This product can also be used as a scrub. 7. Himalaya Neem - is inexpensive and easy to apply. Best for oily skin as it is drying on the skin after wash.
8. Ancient Living Organic Anti Acne and Pimple Care - it is a mild mask that that tightens pores and detoxifies.